The high school level is one of the fastest-growing segments of the strength & conditioning field. Opportunities to work with high school athletes or in high schools are at an all-time high. Unfortunately, these positions are often filled by people who may mean well, but are simply misguided and under-qualified. You have everyone from overzealous parents to sports coaches thinking they know how to train athletes, and the kids simply aren’t getting what they deserve. Unfortunately, these misguided parents and coaches are often over-training the athletes, wasting their time and energy, or putting them in dangerous situations. What young athletes need is an expert performance coach, someone like you, to help them reach their highest levels. 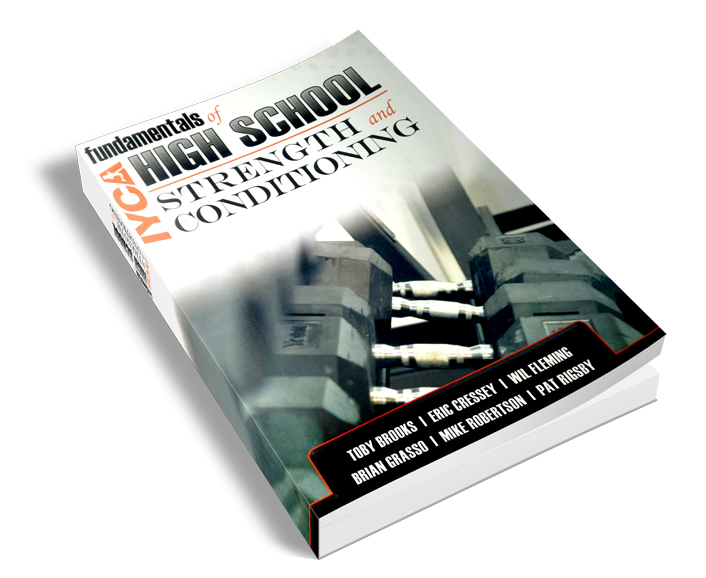 The IYCA is on a mission to change the landscape of strength & conditioning in high schools. 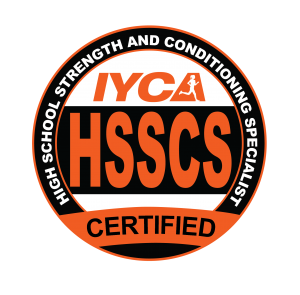 To make that possible, the IYCA has revamped the High School Strength & Conditioning Specialist Certification to ensure that it is the most comprehensive, practical and scientifically sound certification available for anyone working with high school athletes. With authors from major colleges, NFL teams, highly-acclaimed high school programs and world-renowned sports performance facilities, the HSSCS is the gold-standard in education for the high school strength & conditioning coach. In fact, the HSSCS is the ONLY certification geared specifically to coaches working with high school athletes. Training high school athletes can be difficult, and coaches should be extremely well-educated before implementing programs that have the potential to impact young athletes for the rest of their lives. Just because a coach is really strong, in great shape, watched some videos or attended a clinic does not make him/her qualified to work with young people. That is precisely why the High School Strength & Conditioning Specialist Certification was created – to ensure that every coach has the foundational knowledge to give these kids the very best training programs available. We want to empower all athletes to reach their full potential, whether that means simply making a high school team or moving on to the next level to play in college. It’s about helping athletes build confidence, strength, and awareness. You help them build skills that they will take with them and use for the rest of their lives. Working with high school athletes is about getting results, but it's also about making a positive impact that will last a lifetime. We're proud to be the only organization in the world that not only delivers sound, scientifically-based training information, but also dives deep into coaching, sport psychology and how to make a difference in your community. This is what sets us apart, and thousands of outstanding coaches are on board. To be the best coach possible, you need to learn from the best. You need to learn the scientific underpinnings of training, the practical tips on how to get the most out of athletes, and take advantage of the experience of as many outstanding coaches as possible. That’s why the HSSCS doesn’t just have a couple of authors – the HSSCS brings you the knowledge of 20 incredible coaches with over 300 years of combined experience! You need to be truly excellent and differentiate yourself from other coaches. You just found the way to make that happen. What is the High School Strength & Conditioning Specialist Certification? This course takes years of research and practical application and provides you with the most critical aspects of training High School athletes. The IYCA’s revolutionary approach to Long Term Athletic Development. We’ve been preaching this unique training system for nearly a decade, before it became a hot topic in the industry. How to plan and approach your training to account for the specific needs of your high school athletes including sports specialization (when it’s necessary) and how to account for the difference in training needed for your freshman through seniors. What the best of the best are doing through hands-on, practical experiences. 20 highly-respected coaches share their insights and knowledge gained from coaching thousands of athletes. Programming systems that will empower high school athletes to reach their full potential. These systems are results-tested and proven in the trenches in some of the best programs in the country. Not only will you be able to access all of this (and more) as a High School Strength & Conditioning Specialist, but you’ll also have the ability to differentiate yourself from the crowd by holding a very specific credential that only the best coaches can claim. To take this certification over the top and make the HSSCS the Gold-Standard in high school strength & conditioning, we enlisted an incredible group of strength coaches from major colleges, NFL teams, award-winning high school programs and highly-successful sports performance programs. The HSSCS now includes TWO complete textbooks and several hours of video instruction, giving you more in-depth learning on high school strength & conditioning than you’ll find anywhere else. We’ve enlisted the help of top Strength & Conditioning Coaches to develop and deliver our curriculum for the High School Strength & Conditioning Specialist. They are in the trenches helping athletes improve their performance and have helped hundreds, if not thousands, of athletes reach the next level of their athletic careers in college and the pros. 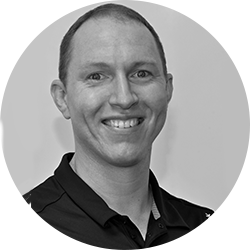 Wil is a sports performance coach and expert on being a more explosive athlete. His expertise comes from years of training and coaching athletes in multiple sports. His athletes are routinely the most explosive, fastest, and strongest on the field. He is also one of the strongest medium sized guys you will ever run into boasting some pretty decent numbers on the platform and in the weight room. Wil is the owner of Force Fitness and Performance and Athletic Revolution Bloomington, in Bloomington, IN. Force Fitness is one of the most successful training facilities in the Midwest, training hundreds of athletes each year. He has helped over 100 athletes earn Division I scholarships and hundreds more have moved on to compete at the NCAA level in Division I, II, III. 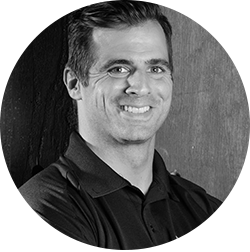 Wil is a sought after speaker on the topics of power development, speed, and strength training for athletes and has presented all over the world. Mike is the President of Robertson Training Systems and the co-owner of Indianapolis Fitness and Sports Training (I-FAST) in Indianapolis, Indiana. Mike has made a name for himself as one of the premier performance coaches in the world, helping clients and athletes from all walks of life achieve their physique and sports performance goals. Mike received his Masters degree in Sports Biomechanics at Ball State University. His graduate assistantship was performed in the Biomechanics Lab, a division of the Human Performance Lab. In his time there, Mike was responsible for setting up a complete online exercise database, assisting in research on strength and power development, and also played an integral role in starting up the strength diagnosis clinic. Working in the athletic weight room is where Mike found his calling, however, and he put in nearly 1400 volunteer hours as an assistant strength and conditioning coach in just two years time. Mike is an accomplished athlete and coach in the sport of powerlifting. He has coached several National champions in the Collegiate ranks, and as an assistant coach for the 2004 USA World Bench Press Team, Mike helped the team clinch a second and first place finish for the Men’s and Women’s teams, respectively. Eric Cressey, MA, CSCS is the president and co-founder of Cressey Performance, with facilities in Hudson, MA and Jupiter, FL. Behind Eric’s expertise, Cressey Performance has rapidly established itself as a go-to high-performance facility among Boston athletes. Athletes regularly travel across the country to experience CP’s cutting-edge methods. While Eric deals with a wide variety of athletes from youth sports to the professional and Olympic levels, he has gained the most notoriety for his work with baseball players of all levels for his success in improving throwing velocity, bat speed, and sprinting speed – while markedly reducing injury rates. 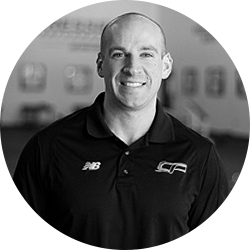 Cressey Performance sees hundreds of baseball players every year, and Eric has worked with professional athletes from every major league organization. Cressey received his Master’s Degree in Kinesiology with a concentration in Exercise Science through the University of Connecticut Department of Kinesiology. As an invited guest speaker, Eric has lectured all over the world. Cressey has authored four books and more than 200 articles, and co-created several DVD sets and informational products. He publishes a weekly newsletter and daily blog at www.EricCressey.com. This is the tried & true textbook for the High School Strength & Conditioning Specialist course written by three of the top sports performance coaches in America - Wil Fleming, Mike Robertson and Eric Cressey. You will learn practical concepts backed by the latest research for training high school athletes. Identify and discuss the challenges associated with establishing a high school strength and conditioning program. List and describe potential funding sources to support a high school strength and conditioning program. Describe and discuss the legal issues related to the administration of a high school strength and conditioning program. Define “Concurrent Conditioning” and discuss how it can be used to enhance efficiency for high school athletes. Develop an effective and efficient strength training program that adequately addresses the unique needs of the high school athlete. Define common terminology related to speed and agility training. Identify common speed and agility coaching mistakes. Describe and discuss the IYCA philosophy regarding speed and agility training for the high school athlete. Define and understand the significance of the relationship between mobility and flexibility. Define and describe the IYCA philosophy regarding mobility training. Demonstrate and describe mobility drills for enhancing function throughout the entire body. Describe the difference between a coach and a reflective coach practitioner. Describe the four ability and temperament styles and the most appropriate means to motivate such athletes. Describe how it is possible to concurrently coach multiple athletes with different abilities and motivations. Review and understand several in-season and off-season strength and conditioning plans for high school athletes. Be able to modify and/or develop similar programs for all athletes or teams. 3 sport-specific in-season and off-season training plans for review. This is the most complete textbook with the most incredible list of authors ever created for the high school strength coach. Adding the 300-page PASC textbook to the HSSCS certification gives you the advantage of learning from the top coaches in the world, and it will raise your knowledge and understanding of strength & conditioning to new heights. The principles laid out in the PASC textbook lay a foundation for you to create safe, effective and efficient programs for athletes at every level and in every sport. Chapter 2 - Energy Systems & Conditioning – Bill Burghardt: Asst. S & C Coach, Michigan State Univ. 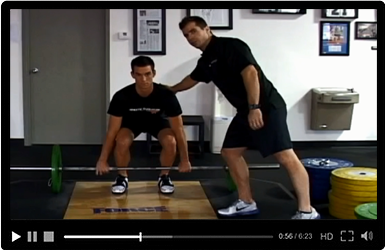 Chapter 4 - Warm-Up & Mobility for Performance – Brian Clarke: S & C Coach, Noblesville H.S. Chapter 15 - Coaching & Supervision in the Weight Room – Aaron Hillmann: Dir of Player Development, Iowa State Univ. Learn exactly how the experts coach and teach the specific strength training, power, and mobility movements for their athletes. These cues and tips are critical to coaching large groups of high school athletes safely and efficiently. See a full-scale dynamic warm up in action that can be used with all your high school training groups. In this video, you’ll get the complete A to Z warm up used in world-class training facilities to help prepare your athletes for their practices or training sessions in minimal time. You have the choice of our completely digital course, which provides instant access to all of our materials, or, if you prefer, our physical course, which ships all of the physical materials needed for the course directly to your home. We understand that everyone learns differently. Simply choose your preferred course materials and get started as soon as they arrive, which is instantly if you choose our digital version. After you’ve thoroughly completed your course materials and you’ve prepared adequately, you can take your exam online to show that you’ve absorbed and retained the proper information to call yourself a High School Strength & Conditioning Specialist. Over 60% of our members take less than 90 days to study for and pass their exam. If you dedicate a few hours per week to studying the materials, you should have no problem passing your exam in 90 days or less. Once you’ve passed your exam, you can officially call yourself a High School Strength & Conditioning Specialist. You will be awarded a certification that clearly shows you are an expert in high school strength and conditioning. Are You Ready to Be a Certified High School Strength & Conditioning Specialist? If you’re ready to become part of a movement to impact the lives of young athletes all over the world and want to take your sports performance business or career to the next level, this is the logical next step! The IYCA is the only organization that specializes in youth fitness and performance training. This isn’t something we dabble in; it’s our expertise! Discover proper programming systems for any age, gender, or sport and the exact methods for deciding when to implement each to give your athletes optimal performance. Have confidence that your programming is based on real-world evidence, backed by research, and specifically designed to help high school athletes maximize their results. Be able to position yourself as a specialist in your field, which will help you recruit and keep more athletes in your programs—not to mention allow you to get top dollar for your training as a specialist. Have access to a complete system to help develop athletes over the entire course of their careers from freshmen to seniors and prepare them to succeed at the next level. Be in a very select circle of professionals who are dedicated to preparing their athletes to perform their absolute best with proper training and motivation. Bottom line: Being an IYCA High School Strength & Conditioning Specialist gives you the knowledge, skills, and tools to position yourself as the best high school performance coach in your area and gives you an opportunity to distinguish yourself from all of the other wannabe performance coaches. Become a Certified High School Strength & Conditioning Specialist! If you’re reading this, you are probably already a good coach, and you might even be great at coaching your high school athletes. But the world may not know it yet. The GREAT coaches in our industry never stop learning. They are always looking for better ways to organize their programs, prepare their athletes for competition, and optimize their performance. But instead of digging through endless piles of research papers, visiting college coaches and successful performance centers, or attending countless seminars, you can have access to everything you need to become a High School Strength & Conditioning Specialist! You may have also seen certifications focused on performance enhancement or athletic development from other organizations. They range from $399.99 to $799.99! And many of them require you to pay crazy membership fees to remain active with your certifications. There are also opportunities to do mentorships or internships at different training facilities. These can be great experiences, but they cost thousands of dollars plus travel time, costs, and being away from your business. With the IYCA High School Strength & Conditioning Specialist, you can get started for just $299.95 and complete your course at home in a few weeks. The info you’re getting is results-tested by industry experts and backed by research. Become an IYCA High School Strength & Conditioning Specialist! At the International Youth Conditioning Association, we stand behind all our products, and they are backed by a 100% Satisfaction Guarantee! If for any reason you aren’t completely satisfied with your investment, simply email us within 60 days to let us know, and we’ll happily refund your entire purchase. It’s that simple! We know this certificate will be life changing for you and will help you transform the lives of thousands of athletes over the course of your career. Q: How does the HSSCS process work? A: First, you must select to prepare for the course with either physical or digital materials and then complete your registration. Upon registration, you will have access to your personal IYCA account to view all the information you need. Physical course materials will arrive in 10-14 days. Digital materials are available immediately. After going through all of the materials and preparing to take the exam, you will register for the exam. This process usually takes between 2-3 weeks. If this is your first IYCA course, it may take you a little longer, and if you are a current IYCA Credential holder, you will likely be able to prepare much quicker. You will have 365 days after purchasing your course materials to register for and complete the 75-question exam. There are no additional costs to take the exam. You have one attempt to pass and 2 hours to complete the exam. If you do not pass on your first attempt, you may purchase a retest for $50. Q: How long does it take to prepare for the exam? A: More than 87% of our coaches complete their exam within 90 days, and most performance coaches only take 2-3 weeks to prepare for the exam. Q: Will any materials be mailed to me? A: If you selected to receive hard copies of the materials, you will be mailed your course study materials, and they should arrive within 10-14 days of your order. If you selected the Digital option, all your materials will be accessible instantly in your personal IYCA Account. Q: I already purchased the Principles of Athletic Strength & Conditioning textbook. Do I have to buy it again? A: No. There is an option to purchase the course without the PASC textbook for anyone who already has it. You should only select this option if you already have this textbook. The digital version includes ALL of the materials including the PASC textbook. Q: I live outside the US. Can I still earn the HSSCS credential? A: Absolutely! We have High School Strength & Conditioning Specialists from all over the world. Our online platform and education center allows for easy access to your materials and avoids high shipping costs. Our course materials are all in English, which is the only consideration you need to make if you are outside of the US. Q: Are there any prerequisite certifications such as the IYCA Youth Fitness Specialist that I need to have before taking this? A: No, there are no prerequisites to earning your HSSCS credentials. A: Once you have completed and passed your exam, we will register you in our Global Database as a High School Strength & Conditioning Specialist. It can take up to two weeks for your certificate to be mailed to you. Become a High School Strength & Conditioning Specialist!